Three power stations of NTPC, India’s largest power utility, incurred an extra expenditure of Rs 2,483.39 crore due to procurement of coal through costly sources during the period from 2010-11 to 2015-16, noted an audit report. The report of the Comptroller and Auditor General of India (CAG) on fuel management of coal based power stations of NTPC Limited said that the installed electricity generation capacity in the country as on October 31, 2016 was 307,278 MW out of which coal based capacity was 186,493 MW (60.69 percent). NTPC Limited’s coal based capacity is 40,084 MW (October 2016). Coal cost constitutes 60 to 70 percent of the total generation tariff of a coal based power station and has a major impact on cost of supply of power to consumers. Inefficiencies in fuel management would increase the energy charges for the stations and cost of power to the ultimate consumer. The performance audit covers fuel management of 13 out of 26 coal based power stations of NTPC Limited and its joint ventures during the period from April 2010 to March 2016. The CAG report said that coal is primarily procured domestically through long term coal linkages from subsidiary companies of Coal India Limited (CIL) and Singareni Collieries Company Limited (SCCL) at notified rates. For all other procurements, such as procurement through MOU, e-auction and import, the rates are higher. As per New Coal Distribution Policy, 100 percent of the Annual Contracted Quantity (ACQ) as per the normative requirement of the consumers would be supplied through FSA at notified prices. However, NTPC agreed to pay performance incentive for supplies above 90 percent of ACQ. This increased fuel cost of 10 stations by Rs 558 crore. FSA for stations commissioned after March 31, 2009 provided for payment of performance incentive on Deemed Delivered Quantity, which included imported coal not actually delivered to the station. The payment of performance incentive for such notional deliveries increased the outgo of two power stations (Vindhyachal and Rihand) by Rs 18.43 crore for the year 2013-14 without any commensurate benefit. 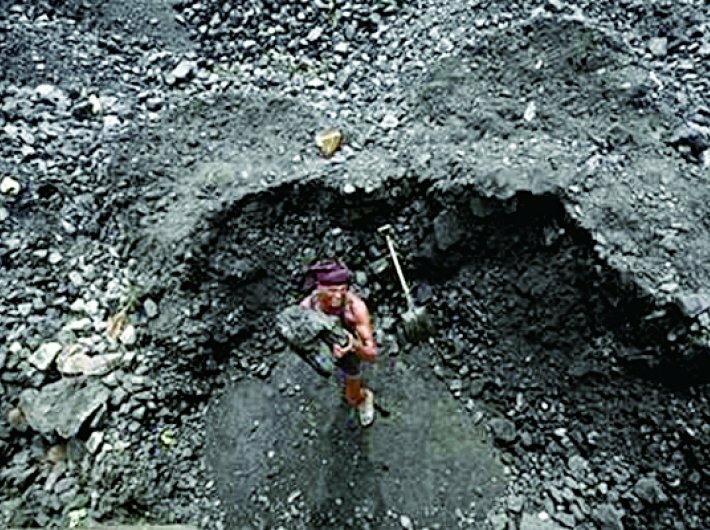 On non-recovery of compensation for short supplies under FSAs, the CAG report said that the FSAs provided monetary compensation for short delivery by coal companies as well as short lifting by power stations. Performance incentive was also payable by power stations for annual supplies above 90 percent of ACQ. In the case of three stations, viz., Badarpur, Jhajjar and Ramagundum, though these stations paid incentive of Rs 128.08 crore, compensation amounting to Rs 114.68 crore could not be recovered from coal companies. In the case of Vallur station, though there was significant short supply, compensation was not even claimed. The report said that in addition to FSAs, power stations entered into Memoranda of Understanding (MOUs) with coal companies to supplement coal supplies. Procurement of coal through MOUs was not mandated under New Coal Distribution Policy. High premium was being paid for MOU procurements, even compared to maximum incentive of 40 percent over notified rates under FSA. Premium agreed to by NTPC under MOU with Singareni Collieries Company Limited was higher than FSA rates by Rs 1600.64 crore while the premium agreed to under the MOU with ECL was higher by Rs 1,433.19 crore.